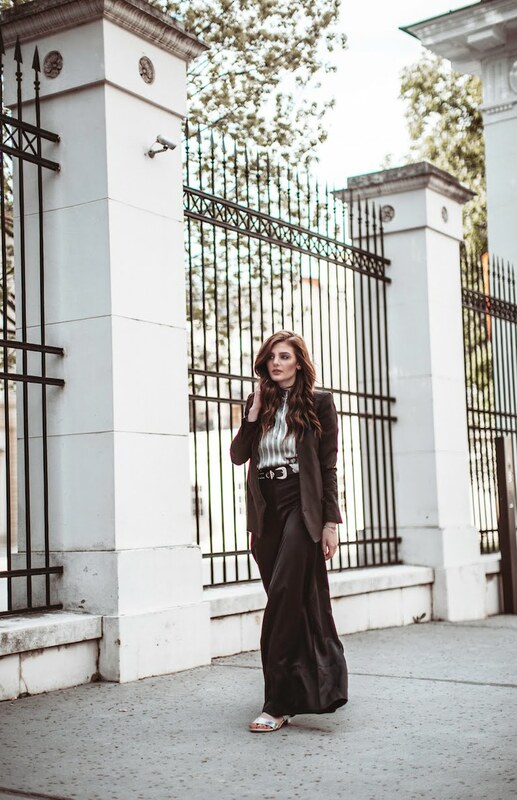 Shiny and buttery soft – two ways i would describe this amazing pants from the H&M Conscious Exclusive Collection which obviously represent the lates trend – oversized tailoring. For some of us it can actually be quite daunting but in my opinion it’s a look that can be incredibly chic. The important thing to realize about this trend is that it can be actually quite flattering, especially when you get the proportion right. In my case i decided to pair this pants with a top tucked in, in order create a nice silhouette and added this amazing belt which truly became a staple in my wardrobe. I can highly recommend getting one of these because it instantly amps up even the simplest outfits. Personally i love wearing this pants with flats or sandals with a chunky heel like i did in this case. It’s definitely a trend to try because sometimes you have to ditch your skinny super tight pants and experience with fashion. Love your outfit! And you are absolutely right!